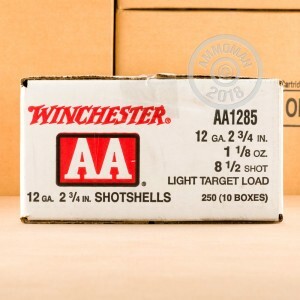 Winchester AA Light Target shells are perfect for anyone who is looking for a quality, low recoil load for clays or trap shooting. These 2-3/4" shells hold 1-1/8 oz. of #8-1/2 lead shot, and have an average muzzle velocity of 1,145 feet per second. The hulls are high strength and can be re-loaded. 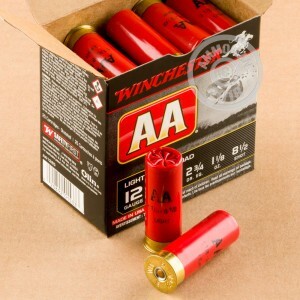 These target loads incorporate several high quality components resulting in a quality shell for the range. 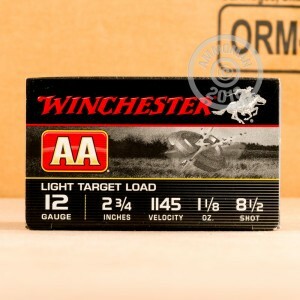 Winchester uses proven hard shot, AA wads and best in class powder and primers. Add all of this up and you get a great round that you can shoot all day long. All orders over $99 will receive free shipping from AmmoMan.com! Stock up for your next day at the range and save more!